Are you one of those people who love the perfect mix of wine, food, beer, and music? 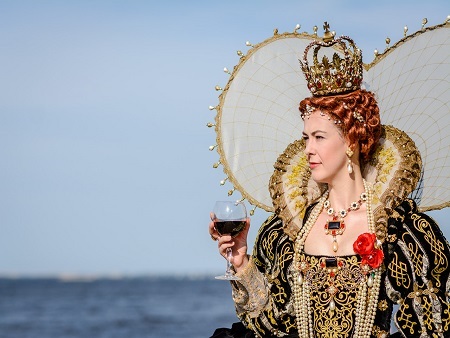 If yes, then you should attend The Lost Colony Wine & Culinary Festival - Grand Tasting event which is going to be organized on the land of Manteo. In this festival, the old world and new world wines from all around the globe will be served to the attendees by local fare with warm island hospitality. Apart from this, the venue will also make you enjoy the breathtaking coastal views. There will be some engaging stage performances which will entertain you. When your mood is set to be the part of this festival, it is the time to pack your bags to visit the city and stay there for a few days. In order to stay there, you have to make the reservation for a hotel room that can be relaxing as well as convenient. Well, Elizabethan Inn can be a decent decision as it has the personal and loosened up feeling to offer. Regardless of you are here with your family or with your companions, we will make all of your excursion permanent here.Regardless of which room or suite you pick, every one of them will provide you with the great comfort and memorable stay. Besides, you can likewise appreciate contemporary solaces including complimentary Wi-Fi, iPod, and flat screen TV among others. In the event that you want to appreciate the tantalizing dinner at a decent eatery, at that point you can discover numerous around the settlement.